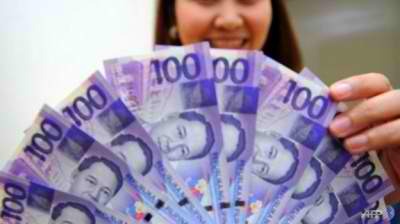 Overseas Filipino Workers’ remittances have strengthened the Philippine peso recently. Historically, monies from overseas workers have always jacked up the peso during the Christmas season. Currently, 1 USD =52.51 PHP. Philippine Peso 58 vs 1 US Dollar Prediction by end of 2019? That’s what a recent report in The Manila Times is claiming. First of all, The Manila Times is reporting a forecast from London-based Capital Economics, CA. The UK research institution is retaining an earlier prognostication that the currency could fall to as low as P58 against the dollar in 2019. The reason for the projection? The Philippines’ widening current account deficit. The research group noted that it made sense for a relatively undeveloped economy like the Philippines to import capital from abroad. As a result, this is driving current account deficits in the Philippines. A deficit of $3.087 billion in the first half of 2018 is a major component of the balance of payments. This deficit is equivalent to 1.9 percent of gross domestic product (GDP). The Philippine peso is Asia’s worst-performing currency for 2018. While the Philippine peso has recently fallen to near 13-year lows in the P54:$1 level, the current strengthening of the peso is not expected to last. Capital Economics said the current account deficit was likely to widen further. Exports are expected remain weak on the back of slowing global demand. Imports will likely remain strong given demand for capital goods to support the government’s infrastructure spending program. “This is likely to put further downward pressure on the currency, and one of the key reasons why we expect the peso to weaken from 52.7 pesos to the dollar currently to 58.0 by end-2019,” it said. The trade deficit widened by 70.5 percent to $29.910 billion in January-to-September from $17.543 billion a year ago based on latest available data. The government is banking on its P9-trillion ambitious “Build Build Build” infrastructure program to boost economic growth. However, economic managers recently revised to a lower 6.5-6.9 percent this year from the previous 7.0-8.0 percent. GDP growth has remained below target at 6.3 percent as of the end of September.